My favorite Monday morning of the year – the Monday after daylight savings ends. When I wake up and the clock says 5:00am, but it’s really 6:00am to my body, and it feels like I got a whole extra hour of sleep. Rather than staying in bed and being lazy like I normally would be, I felt this urge to get up and be productive. Which was odd, because we had had a particularly tiring weekend. Our tenants had given us 30 days notice to move out of our rental property on October 31st. Halloween. Trying to avoid losing any rental income, Shawn and I found a new tenant who could move in November 1st. Which meant we had less than 24 hours to completely clean and paint our rental property to get it ready for the new tenant the following morning. 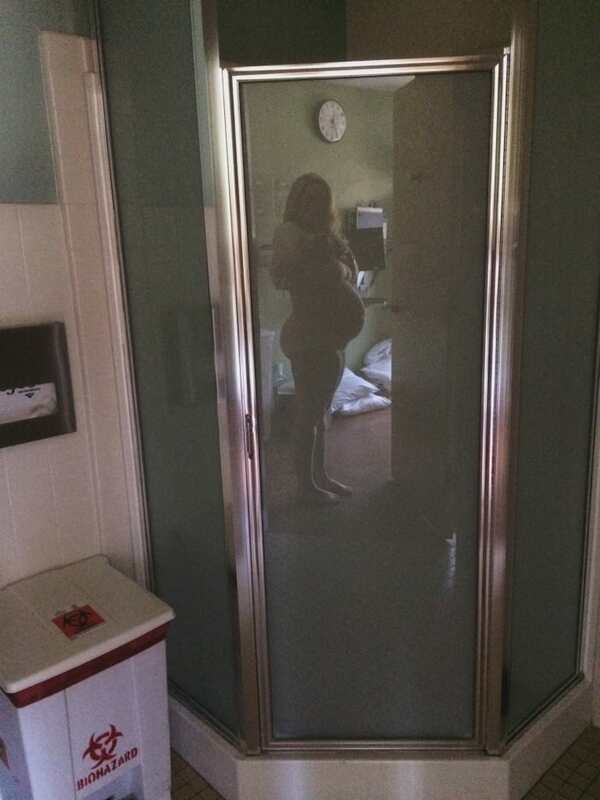 It’s a little insane looking back on it, especially since I was almost 32 weeks pregnant. But we were determined to get it done as quickly as possible. My parents, sister and her husband all came over, we worked as a team, and were finished in 4 hours. The next day, November 1st, was my moms birthday. That morning we met our new tenant, did the walk thru, and handed over the keys. Then we went wine tasting with my family to celebrate my moms birthday (I was the driver of course, no wine for me), and went out to dinner that night. Despite the crazy weekend, I still got out of bed when I could have kept sleeping for another hour to get my house clean and laundry done. I hadn’t been able to clean all weekend, and it was a bit of a disaster. I knew that after work we had our 32 week prenatal appointment, which included an ultrasound (!) and it would be so nice to come home to a clean house after. I went to work, and I even spent my lunch break running to Bed Bath and Beyond to buy us brand new sheets for our bed, a chore I had been putting off for weeks. Looking back, it’s almost like my body knew what was about to happen and wanted to give me the tiniest chance to nest and get our house in order. When I came home from work, I threw the new sheets in the wash. When it was time to throw them in the dryer, Shawn was home and it was time to head to our doctor appointment. 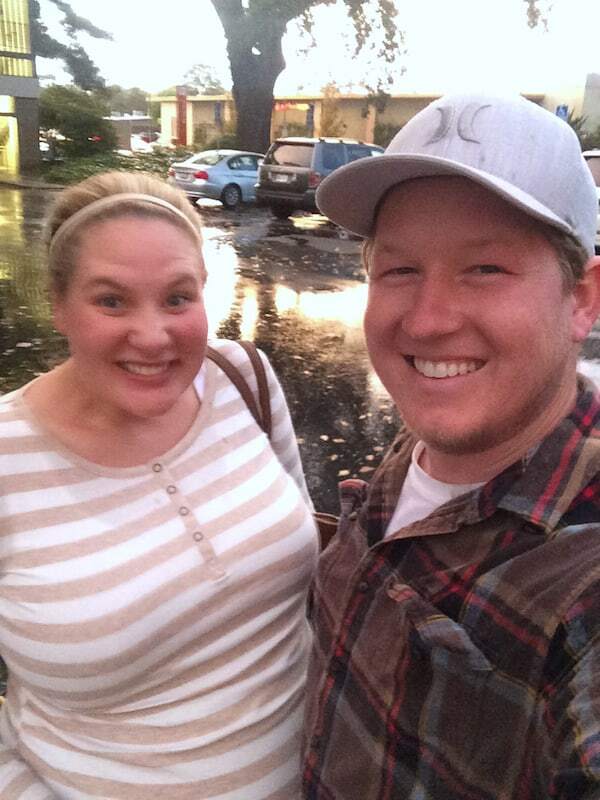 We even decided to go out to dinner after the appointment to celebrate seeing the baby in the ultra sound, and finishing the rental property on time like we had hoped. We left our house. We never made it to our dinner date after our doctors appointment. The sheets stayed in the dryer. We got to the doctors office for our 32 week appointment right on time. Along with the usual pregnancy check up, we were going to have an ultra sound to check the baby’s position. We hadn’t seen the baby since our 20 week appointment, and I couldn’t wait to see how much he had grown since then. I was nervous because all of the kicks I had been feeling from him were still really low. I hadn’t felt any kicks in my ribcage yet. I had a feeling the baby hadn’t flipped yet, and was anticipating my doctor confirming my fears. I was right. The baby was still feet down. My doctor said I shouldn’t worry yet. The baby was still very likely to flip. I should only worry if he hadn’t flipped by 36 weeks. I had a month. She printed out some tips and exercises for me to try to encourage him to flip. They could even try manually turning him by pushing and squeezing my belly to get him to move. If all else failed and he stayed breech (feet down), I would have to get a c section. But we’d cross that bridge when we got to it. Otherwise, the baby looked great, and we’d see my doctor again in 2 weeks. I got up from the table and left the exam room with Shawn, excited for our date. It was around 3:30pm. As I was walking, I felt some wetness leak out. Just a little. Less than a teaspoon. Weird things happen to your body when you’re pregnant, and I assumed I had…ahem…well, you can guess. There is a bathroom right outside the exam room, and I went in there to pee. I left the bathroom, and a little more wetness leaked out. I was annoyed. I just peed! How can there be more? Come on body! Shawn was laughing at me. We walked to the elevator. But when we got to the elevator, more wetness leaked out. Now this is just too weird. I don’t even have to pee. I stood there, in front of the elevators, trying to understand the situation. As I stood there, a LOT more wetness leaked out. I looked down, and it looked like I had peed my pants. We walk back to my doctors office and knock on that door that separates the waiting room from the exam rooms. The nurse’s assistant answers the door. My doctor comes walking out of her office with a smile, calm as can be. She sees the very obvious proof on my jeans. I go back in, and I have to peel off my wet jeans. She swabs me with a long q tip, and goes back to her office to test if it is amniotic fluid. Shawn and I are left alone in the exam room for a whole minute. Neither of us says a word. My doctor comes back in. Is this all really happening? This must be a dream. I glance at Shawn. He looks like a deer caught in headlights. Then she hands me some waterproof exam table covers for me to sit on in my car. You know, to protect my leather seats. Shawn and I leave the exam room hand in hand. We look at each other with nervous, confused smiles. It was a very bizarre car ride. I can’t even remember what we said to each other. But I remember the energy. Shawn was calm and steady. I was nervous. I remember knowing that everything would be absolutely ok, but not sure how exactly all of this was going to go. We held hands the entire drive. Each time more water gushed out, I would let out a nervous gasp. Shawn would remind me not to worry, that the doctor said everything would be ok. While we sat in rush hour traffic, in the rain, on a Monday, I called my cousin who is a labor and delivery nurse. I explained what happened, and she again explained to me everything my doctor had said. She said she has seen babies born at 24 weeks go on to be just fine. It made me feel better. 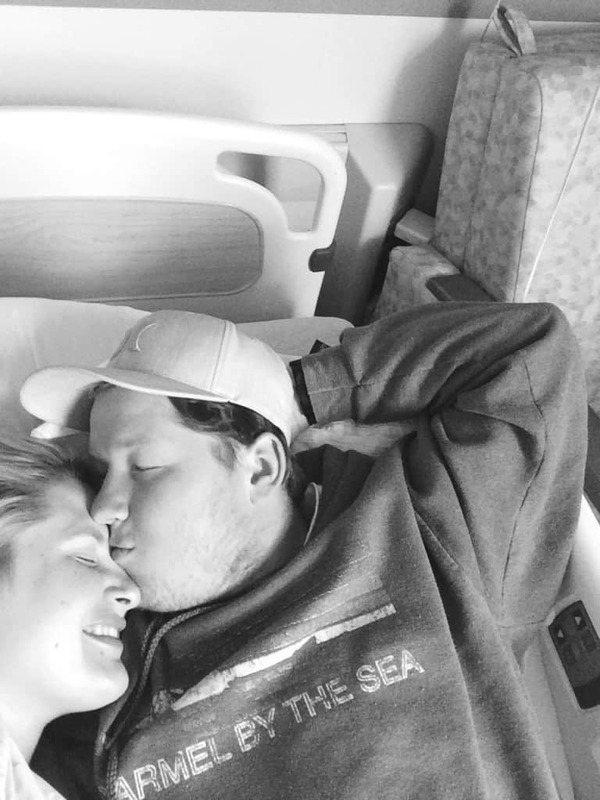 We finally got to the hospital, and before we walked in, Shawn stopped me, kissed me, and snapped this picture. It so reflects how we were feeling. Shawn, strong and confident. Me, trying to stay positive but feeling a little freaked out. We got admitted, I changed into a hospital gown, and got hooked up to so many machines. 2 monitors strapped to my belly – 1 that tracks contractions, the other monitors the babies heart rate; a blood pressure cuff, a clip on my finger to track my pulse, and an IV to give me fluids. I loved having a monitor on the babies heart rate. His heart rate was perfect, beating away steady and strong. They gave me a steroid shot that would speed up the babies lungs. It stung. I would get another in exactly 24 hours. After 48 hours, the steroids would have taken full effect and his lungs will be very well prepared if he is born premature. Then we had to sign papers. So many papers. Sign here if I want a blood transfusion if it will save my life. Obviously. Wait, am I going to be losing a lot of blood? Sign here if you want the baby vaccinated for Hepatitis. I think so? Wait, does this mean the baby is going to be born soon?! Write down all your insurance information. Thank god Shawn has good insurance thru his work. This is probably going to cost a fortune. I couldn’t handle any of it, and passed all the papers over to Shawn. He’s better at reading contracts anyway. Finally a doctor comes in. He explains everything. And quickly. He is throwing out statistics. Best case scenario. Worst case scenario. It is overwhelming. Shawn looks like he is going to faint. But I remember grasping on to him saying that what is happening to me is called PPROM – Preterm Premature Rupture Of Membranes. It happens randomly. It’s not because of anything I did. When it happens, 50% of women go into labor within 48 hours. 75% go into labor within a week. 10% make it 2 weeks. I absolutely KNEW that I was going to be the 10% who make it 2 weeks. There wasn’t a doubt in my mind. The doctor said the best way to prevent going into labor was to stay extremely hydrated, which will also help to replenish my amniotic fluid. To remain very still, only getting up to walk to the bathroom. And to stay as calm as possible. If I get too stressed, it could cause my body to go in to labor. The doctor explained that since I was leaking amniotic fluid, it meant there was a tear in my bag of waters. Because of this rupture, there is no longer a protective bubble around the baby. It was possible for infection to reach the baby, which is why I would be staying in the hospital and monitored so closely. I would continue to leak fluid until the baby is born. If I ever noticed any blood or change in color to the fluid, I was to let the doctors know right away. And since my water broke, my body was already primed for labor. I wasn’t having any contractions, which was a very good sign. The doctor said they won’t check to see if I am dialated to avoid spreading infection. But it was possible that I could be a few centimeters dialated. It was also possible that if I was dialated, the babies cord could slip out and get pinched, cutting off oxygen to the baby. It is called cord prolapse, and if I ever noticed the umbilical cord hanging out, I would have to let them know and have an emergency c section within minutes to save the babies life. This is the main reason I would be on bedrest. This is scary. We’re going to be ok, right? I think we’re going to be ok. They moved me to a private room (thank god!) on the Labor & Delivery side of the hospital. It was almost 9pm. My family came to bring us a few essentials from home, and some food to eat. I felt instantly relaxed as soon as they got there. No one seemed scared or worried. We were chatting and joking and smiling. We said that the baby is just too excited to meet us, and he used his finger to poke and break my water himself so he could come join our family. We all knew I would be ok. We just had to keep me calm, hydrated, and still. And then my world got very small. Early in my pregnancy, I joked with Shawn that it wouldn’t be so bad to get put on bedrest. A doctor ordering me to lay in bed to watch movies and read books all day? Sign me up! I was right. Bedrest is kind of awesome. We had been so busy all summer filming weddings and both of us working full time, it was wonderful being ordered to slow down. The first 2 days were the scariest. The first goal was to get 48 hours clear. Then the steroid shot would have taken full effect, and I would have beaten the 50% odds of women going into labor after their water broke this early. I kept looking at the clock and would get excited with each passing hour. That much closer to 48 hours! 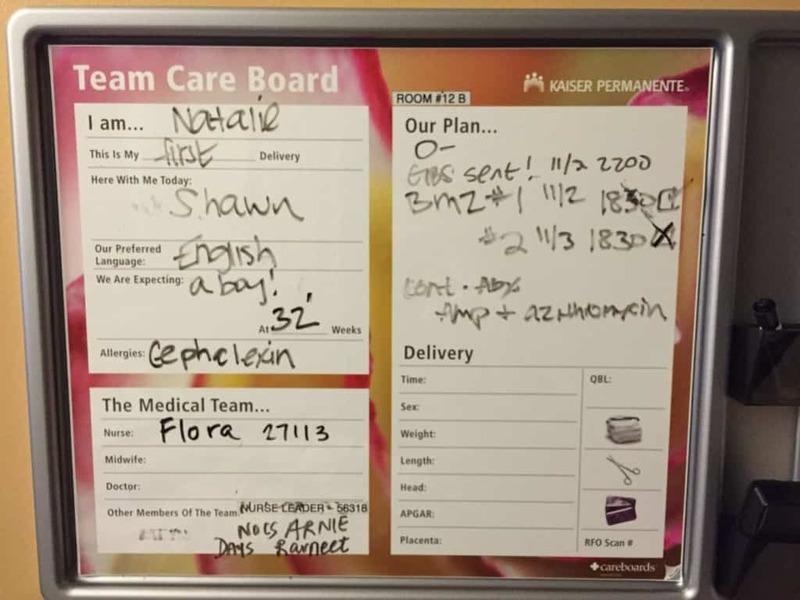 They even had a board on the wall that they would update every night at midnight to say how far along I was in my pregnancy. I was so excited the first time we made it to midnight and I was officially 32 weeks. Shawn took off work the first 2 days and didn’t leave my side. He slowly let family and friends know what was going on. Shawn decided that he would take over all communication with loved ones, and I would just rest and remain as zen as possible. He didn’t want to risk me getting overly excited or worked up and triggering labor. Shawn created a protective bubble around me and the baby. He took on everything scary and hard and stressful so me and the baby could relax without a worry in the world. We had an ultrasound the first morning to check on the baby. There was still a good amount of amniotic fluid, thanks a lot to all the water I was drinking. (Almost 3 liters a day!) Baby boy was moving around and doing fine. Then we made it 48 hours! I got moved to a much more comfortable (and private!) room in the post delivery section of the hospital. I got cleared to be able to shower, only while sitting the whole time and with the help of Shawn. We fell in to a routine. It became our new way of life. Nurses came in every 4 hours (even thru the night) to take my vitals, mainly looking for signs of a fever or infection. I was always healthy as can be. Twice a day they would hook a heart monitor to my belly to check on the babies heart rate. They did a test where the baby had 20 minutes to do 3 “heart rate spikes”. 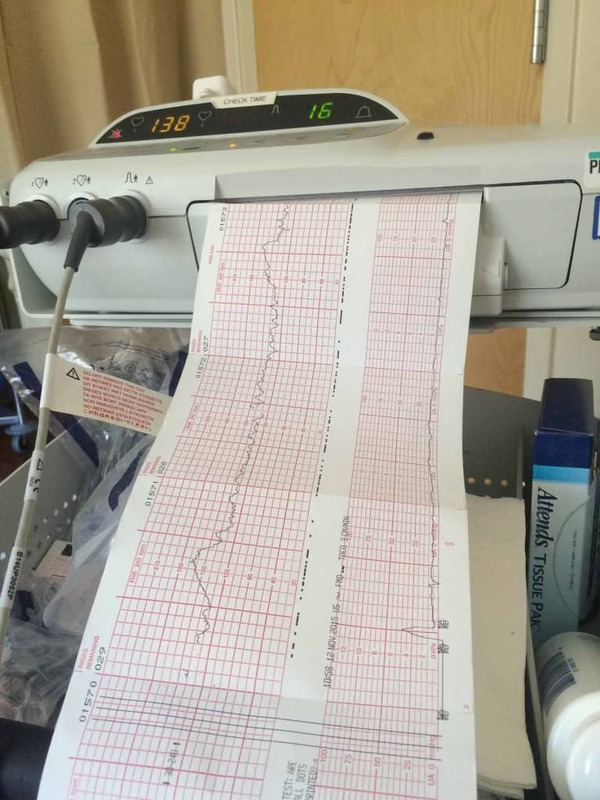 It was a good sign of movement, and that the baby was able to regulate his heart. Shawn and I would sit there, in our little hospital room talking to the baby and encouraging him to move and spike his heart rate. The baby always did great and passed his heart rate test. I got an ultra sound twice a week to check on the baby. He always was great. Every day felt like a huge accomplishment. 1 day longer he was able to stay inside me. 1 day longer he could continue to grow. My mom and sister got our house ready for everything the baby would need. And I mean everything. Washed all the baby clothes. Built the changing table. Set up the bassinet. My sister would send me picture and video updates of our house transforming, and it would make me oh so happy and relaxed. Shawn and I hadn’t set up one thing. I didn’t even have a diaper. My baby shower was going to be the Saturday after my water broke, but was obviously cancelled since I was in the hospital. Everyone was so nice and dropped the presents off at my moms house so they would be waiting for me when we went home. I was able to order everything else from my phone in the hospital bed. Shawn handled all the stressful stuff. There are a lot of things to take care of when your life goes on hold unexpectedly. We had a wedding on November 15, which we clearly weren’t going to be able to make. Shawn called every wedding contact we knew, and was able to find a replacement. Thank goodness the bride was a NICU nurse herself, and completely understood. Our new tenant who had just moved in had some issues she found in our rental property, and Shawn and my dad went over and handled them all to keep her happy. Shawn was simply amazing the whole time. He slept at the hospital with me every night, even though that fold out chair bed was incredibly hard and uncomfortable. He went back to work the following week when it was clear I wasn’t going to go in to labor, so he wouldn’t use up too many of his vacation days. Even though he was gone, he would call and text me all day to make sure I was doing ok. He handled all the hard stuff. He stayed strong. He flirted with me, and told me how beautiful I was, even though I was in a hospital gown and hadn’t washed my hair in a week. He would always hug and kiss my belly, and talk to the baby and tell him how good he was doing by staying in and growing stronger. He told me he was proud of us. I’ve never loved him more. We became a family of 3 in that tiny little hospital room with the baby still inside me. We talked about the baby a lot before the hospital stay, but as soon as I was put on bedrest our whole world revolved around the health of our baby. He was all we could talk and think about. It was a beautiful time of bonding and loving the baby and each other before he was born. To slow down, and appreciate. Our family and friends were very supportive and encouraging, sending lots of texts and emails and leaving voicemails that they were thinking of us and praying for us. We didn’t want to have any visitors so I could stay completely at rest. Everyone understood. My friends dropped off flowers, my blogging friends sent me flowers, Shawn’s mom made a care package of puzzles and DVDs. We felt so loved, like everyone was rooting for us. The exception was my family, who came to visit almost everyday. We’re incredibly close to my parents, sister and her husband, and I felt 100% comfortable and worry free around them. I wouldn’t get embarrassed if I stood up and my hospital gown opened and showed my underwear, or if the doctor asked me when my last bowel movement was in front of them. My dad came every morning (and I mean every morning) around 9:30am when Shawn went to work. I would lay in bed, and he would sit in the chair next to me. We would watch the end of Kelly & Michael, then Price is Right (we got REAL good at guessing prices), then HGTV shows or The First 48. My dad would refill my water, get me snacks, and make sure I ate all of my lunch. He would tell me funny stories, let me know how my chickens were doing, and told me I should take a nap and rest. It was the sweetest time. My mom and sister would come visit after work. My mom would cook me the most delicious, healthy dinners to eat. I wasn’t crazy about the hospital food, and wanted to eat as healthy as possible to really nourish the baby. Her and my sister would bring bags of healthy snacks for my room. They would tell me how work was going (we all 3 worked together at the same office). We would talk about our favorite shows, and be excited to hear about how well the baby was doing. I loved having my family around. If anything to distract me and keep me from sitting around and having scary thoughts. When they weren’t there, I would try my hardest to not think about anything negative. I was successful about 85% of the time. 15% of the time I would let myself feel scary emotions. I tried not to Google anything. I listened to a 30 minute hypnosis called “Baby Stay In”, which I am convinced really helped me stay pregnant longer. On good days when I was feeling strong and positive I would just listen to it in the morning and before bed. On bad days, when I was feeling overwhelmed and scared, I would listen to it 10 times in a row. I read all the baby books I had meant to read. Caught up on Netflix shows I had been meaning to watch. I napped. I got to know all the nurses. Then Shawn would come back around 8:30pm when he was off work, like a hero, and I would finally feel safe again. Everything was always ok when he was near. It stayed like this for 15 days. Before I knew it, I had reached my goal. I made it to 34 weeks pregnant. The doctors all recommended the baby be born right when I hit 34 weeks. At 34 weeks the baby is well developed. Any other growing and developing could be done outside the womb. Waiting any longer wouldn’t make a big difference in the growth of the baby, but instead became another day that I risked getting an infection. It was much safer to get the baby out 100% healthy at 34 weeks, rather than waiting longer and the baby getting an infection in utero. An infection to a baby that small would be extremely serious, even causing death. 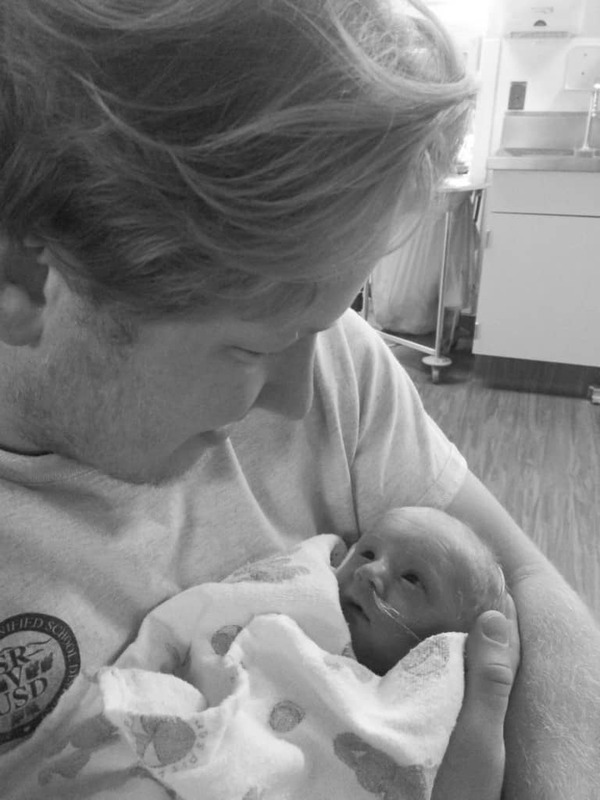 The hard thing was knowing that at 6 weeks premature, the baby would definitely need to spend time in the NICU. 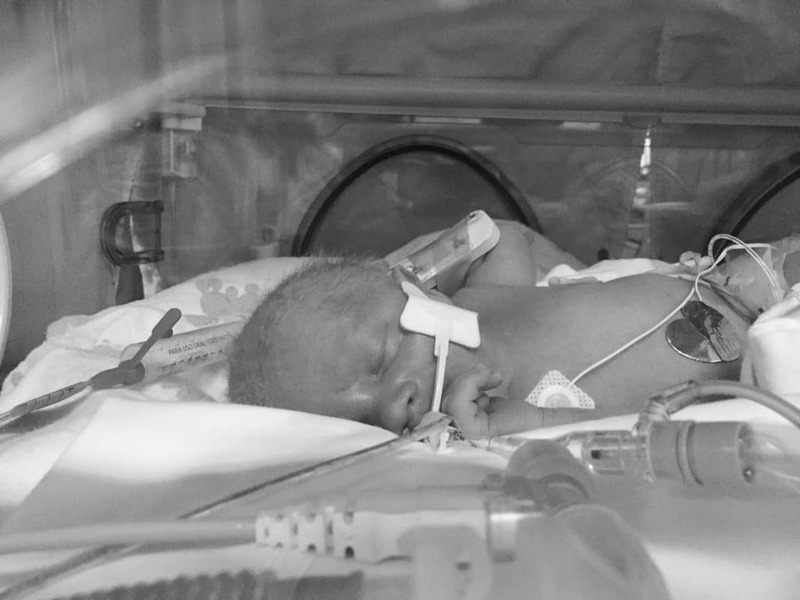 The doctors couldn’t say exactly how much help the baby would need, and exactly how long he would need to be in the NICU. We did a tour of the NICU to prepare. It was the first time I left my hospital room since getting there. They wheeled me over in a wheelchair. The NICU was nowhere near as scary as I thought. The nurses were all so nice, and explained everything to us. They showed us the isolate that our baby would be in. They told us that we could be with the baby as often and as long as we wanted. It didn’t feel like the ideal situation, or how I pictured our start as a family of 3. But all that mattered was the health of the baby. And I could tell he would be receiving the best care and be in the best hands. After weighing all the options, and as scary as it felt, Shawn and I agreed with the doctors and decided to have the baby 6 weeks early when I was 34 weeks pregnant. The baby was still feet down, so I would have a scheduled c section. The night before was surreal. Shawn helped me shower. We ate dinner. We talked about the baby. We were equal parts excited and nervous and proud we had made it so far. I tried not to focus on it, but I was also scared. Is the baby going to be ok? Will he be able to breath on his own? Will he be healthy born this early? Am I going to be ok? I’ve never had surgery. They’re going to be slicing in to me? While I’m awake?! I couldn’t wait for everything to be done. I wanted to fast forward. I wanted to know the outcome. The mystery of the unknown felt big and scary. It’s a crazy thing, knowing the exact day your baby is going to be born. Knowing you are going to be parents in less than 24 hours. How different the next night, and all the future nights, are going to be from this night. Realizing that this is the last night as just the 2 of us. How lucky we are. How much love we have. And how much better it is going to be with our baby here. But still savoring and appreciating the fleeting moments as just Shawn and Nat. We’ve been together since we were 16 and 17 years old. Grown up together. Experienced so much life together. And now here we were, 12 years later, about to bring a life into the world. Our babies life. A baby that will be half me and half him. I made Shawn cuddle me in the little hospital bed that night. We held hands. We tried to watch a movie. We hugged. We kissed. I cried. We said I love you so many times. Shawn told me over and over that everything was going to be just fine. He promised we would be ok. Our love and strength would continue to get us through it all. We were as ready as we were going to be. We couldn’t wait to meet our baby boy. I was supposed to be the first c section of the day at 8:30am. But the nurses told me not to get my heart set on a time. If there was an emergency c section, I would get bumped. My nurse came in at 5:00am and told me I was already bumped. There was another c section that was higher risk than me, and I would go in at 10:30am now. I texted my family and told them, and said they could get some more sleep and didn’t need to get to the hospital at 7:00am anymore. Then I got bumped again, and was supposed to go back at 12:30pm. We hung out with my family in my small hospital room. We watched TV. We joked. We laughed. We did a puzzle. I kept looking at the clock. The waiting felt like torture. All I kept thinking was when, when, when? I would tell myself that by the time it was dark, I would have this baby and all my what if questions would have answers. My anticipation and anxiety was high, but I tried to suppress it as best I could. I can do this. We’re going to be fine. Everything is always fine. I can’t do this. I hate this. Can it be tomorrow yet? Can I just go to bed and it will be tomorrow? I was hungry. And oh so thirsty. I wasn’t allowed to have any food or drink since midnight. I kept rubbing my belly, and telling the baby that we were going to be ok. That I couldn’t wait to meet him. That he doesn’t have to worry about 1 thing. Mommy and Daddy are going to handle everything. I snapped one last picture of my boy inside me. There wasn’t a mirror big enough in my hospital room, but my reflection on the shower door served just fine. Finally, at 2:00pm, the nurse came in and said I was the next c section. It was almost time! The anesthesiologist came in and explained what was going to happen. He seemed great and knowledgeable. I felt safe. Until he started going over the risks. You’re going to want to hold very still when I give you the epidural. If I get it in the wrong place, you won’t be properly numb. It is possible that you will get a spinal headache from the epidural, which is like a migraine that lasts for a week. Any questions? Sign this consent form. Then the doctor who was going to be giving me the c section came in. She seemed very small. A 50-something asian woman who couldn’t weigh more than 100 pounds. How will someone so small be able to facilitate a life moment that is so big? But as she started talking I liked her demeanor and felt relaxed. Until she went over even more risks. It is possible that you will lose a lot of blood. If that happens, you will get a blood transfusion. If you get a blood transfusion, there is a very small chance the blood will have HIV or Hepatitis. It is possible if there is too much bleeding and I can’t stop it, I will have to remove your uterus. It is possible that during surgery your organs will get knicked, like your bladder. Any questions? Sign this consent form. They gave Shawn scrubs to change in to, and a mask to wear over his face. At 2:45pm they came to my hospital room with a wheel chair to wheel me over. It was time. I said goodbye to my family, who would be waiting in my hospital room. I told them before hand that when I left I wanted to keep our goodbye very low key and casual so I wouldn’t get too nervous. We hugged, and I told them not to worry, that we’ll be fine. We’re going to have our baby boy! They stood outside my hospital room and waved at me as they wheeled my down the hall, as I held Shawn’s hand the whole time. They take me in the operating room. It is so bright. Every single light is on. 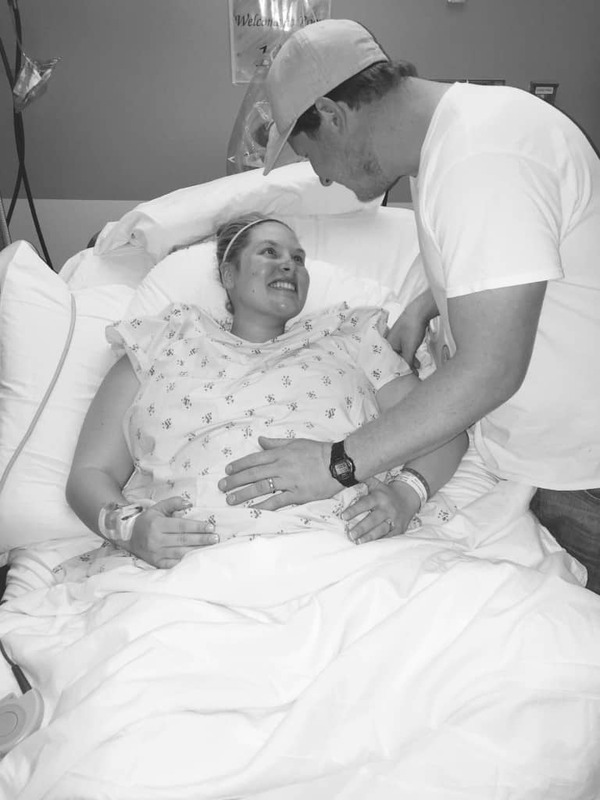 Shawn had to wait outside the room until after my epidural, in order to keep it a sterile environment. Why Shawn is allowed in the operating room when my entire stomach and uterus is cut open, but not when a needle is going in my back, is still a mystery to me. But rules are rules. I sit on the hospital bed. There are so many doctors and nurses. 1 operating doctor. 1 operating doctor assistant. 1 nurse just for me. 1 anesthesiologist. 2 NICU nurses for the baby. Everyone is wearing scrubs and masks. All I can see is their eyes. I feel surrounded by so many people. But I don’t know these people. I feel alone. I’m smiling and being polite and thanking all the doctors and nurses for being here. I can’t wait to meet my baby. I feel out of my body. The room is warm. Very warm. I start sweating. The doctor tells me they keep it warm for the baby. I like that. I don’t mind that I’m sweating. Make it as warm as possible. Make this transition easy for my baby. The anesthesiologist has me sit on the edge of the bed. He cleans and preps my back. He’s right, they barely hurt. They’re hooking me up to so many machines. An IV that is giving me fluids. Good, I’m so thirsty. I haven’t had water in 15 hours. A blood pressure cuff that turns on and off every minute to monitor my blood pressure. A pulse monitor that is hooked to my finger. The whole room can hear my heart beating. It is beating fast. I think calming thoughts. I close my eyes. I tell the baby we’re going to be ok. That we’re going to meet soon. That he is safe. I’ve never held more still in my life. I’m almost scared to breath. The nurse is holding my hand. This is a strangely intimate moment with a woman I do not even know. I can’t even see her face with her mask on. I don’t know what she looks like. All I can see is her eyes. She is wearing an ID badge, and there are 2 pictures of her kids clipped to it. She tells me about her kids, and how her son did really good at baseball game on Saturday. She’s being so sweet. I don’t know this woman, I don’t know these kids, and there is currently an extremely large needle in my spine. I miss Shawn terribly. He’s right outside the door watching. He later tells me that the needle was huge, and he doesn’t understand how it didn’t push it’s way thru my spine, and out the other side of my body. They lay me down. My toes are already tingly. They start cleaning and swabbing my whole body. I realize that my hospital gown is no longer on. Nothing is on. I’m splayed out. He starts swiping the wipe down the side of my body. It still feels cold at my belly button. They start cranking the bed. My feet are getting higher, my head is getting lower. I’m staring up at the ceiling. I don’t feel any coldness when he gets to my ribcage. Oh dear god I hope I was right. It stopped being numb at my ribs right? They splay my arms on either side of me. I am a T shape. They pull a curtain up at my armpits. Good, I don’t want to see this. Shawn comes in. I relax instantly. I need him here. If he is here, we’ll all be ok. They start the surgery. I can’t feel a thing. But I smell things. What’s that burning smell? Oh my, I think it’s my skin. Let’s not think about that. What’s that sucking sound? I bet it’s a machine sucking up blood. Ok body, let’s not lose too much blood. I look over into Shawn’s eyes. I tell him over and over that I am completely fine. That he doesn’t need to worry about me and the baby. That I’m not scared. And I’m not. I am so calm. We’re doing it. It’s happening. It’s been 15 days of waiting. The moment is here. We’re going to meet our baby soon. This is it. Ok baby, you’re probably feeling tugged on. That’s ok. They’re just bringing you to me. Don’t worry. Just relax and be strong. Mommy and Daddy are right here. I’m getting jostled all around. They’re moving me and shaking me and tugging on me. It feels like I’m on a roller coaster. They start pushing up near my rib cage. The anesthesiologist tells Shawn that it is almost time. That he can look if he wants too. Shawn stands up and peaks over the curtain. And then I hear our son cry. He’s crying! That means his lungs work! He’s ok! I am melting with relief and happiness. I am floating with joy. The NICU nurses take our son over to the table on the side. They are cleaning him off. He is still crying strong. I can just see him. He’s healthy. He is beautiful. He is ours. Shawn is over next to the baby, adoring him. I’m glad Shawn is over with him. I don’t want our baby to feel alone. Shawn takes a few pictures. Please start with a 5. Please start with a 5. He weighs 5 pounds 2 ounces. He is 17-1/2 inches long. They loosely wrap him in a blanket and bring him over to me, and lay him skin-to-skin on my chest. We name him Joshua David. Joshua, because we’ve always loved that name. We’ve always known we would have a blond, blue eyed boy named Josh. Shawn is right next to us. We are together. We are a family of 3. Nothing else matters. We have everything we need. Our whole world goes into slow motion behind that small surgery curtain. I am holding Josh for about 2 minutes. I am so happy I get to hold him. But he starts taking labored breaths. The nurse is right next to me the whole time. She calmly says that it looks like he is taking labored breaths, and they’re going to go take him to the NICU to help him breath easier. They ask if Shawn wants to go with the baby or stay with me. Shawn leaves to go with our baby. It took about 10 minutes for Josh to come out. It took about 30 minutes to get me all stitched up. I am alone. Alone with my thoughts. For 30 minutes. He cried! That’s good. And he was breathing. But it did look like he was struggling a little. The NICU will take care of him. He’ll be ok, right? He has to be ok. Shawn is there. As long as Shawn is there, everything will be ok. He looked healthy. And his weight started with a 5! He’s such a strong boy. He’s going to be ok. He has to be ok. Am I doing ok? Is this surgery going ok?! How long does it take to get me stitched up? Is it supposed to take this long? Did she nick my bladder? Am I losing a lot of blood? I’m not even going to ask. Should I ask? What if I ask the doctor how the surgery is going and she doesn’t answer right away? That definitely means it’s not going well. The anesthesiologist looks calm, so that must mean it’s going ok. It’s so quiet in here. Why is no one talking?! God I hope Josh is ok.
I’m all stitched up. They take the curtain down. I don’t look down. I get brave and ask a scary question. They move me to the post op room. My whole body is shaking. It feels like a tremor. It looks like I’m shivering uncontrollably, but I’m not cold. The nurse tells me this is completely normal. It’s just my bodies reaction to the baby being born. Shawn goes and tells my family everything is ok, and shows them pictures and videos of Josh. They’re ecstatic. Then he calls his family to share the good news. He sends my mom into the post-op room to be with me, while Shawn goes to be with Josh. I finally get to go back to my hospital room. They wheel me back on a stretcher. I am still so numb I can’t even wiggle my toes. My whole family is standing outside the room cheering and clapping. It is the best. We’re all so happy. Shawn keeps coming back with reports about Josh. He’s doing really well. I finally get to drink water. The epidural is starting to wear off. My family goes out to get food, and they’re going to bring us back some. I ask for a deli sandwich from Whole Foods. I can finally eat deli meat again! I start pumping with the help of Shawn and my favorite nurse. Even though I can’t be with Josh and nurse him myself, I am determined to make him lots of good milk to get him strong. The nurse and Shawn help me collect every drop of colostrum. It’s nice to feel like I am contributing and being a mom, even though my baby is not near me. I miss him so much. I’m glad he is getting taken care of, but I really wish we were together. I try to stay positive. By 9pm the epidural has worn off. I can move my legs. They have me on pain medication, so I don’t feel too much pain after the surgery. Until I have to stand up. Yup, they definitely sliced right through me. I can’t even imagine walking. There is no way. My nurse tells me if I can walk to the bathroom that it is 10 feet away, then that means I am strong enough to go to the NICU in a wheelchair and get to see the baby. There is a way. I can do this. I can walk to the bathroom. Then I’ll get to see Josh again. I walk so slow. Every step hurts. But I do it. I sit on the toilet, and the nurse cleans me off. Then they put me in a wheelchair, and wheel me to the NICU. Josh is in his isolate. He is the one closest to the door. I like this. It makes it feel like we’re already on our way out. Like we’re just barely in the NICU. It’s only temporary. He’s so tiny. He’s so cute. He’s so perfect. He instantly feels like mine. Like I’ve known him forever. I can’t hold him yet. Not with the intubator in. But I can put my hands in the isolate. I sit in my wheelchair, with my hands on my baby, for what feels like hours. It is heaven. Shawn explains to me what all the wires do. He is already an expert. As much as it pains me to leave him, we head back to the hospital room. I console myself by saying when we get back to the room I can pump again and make him milk. Shawn sleeps like a rock that night. The poor guy is emotionally exhausted. He had to be so strong all day. I am wired. I am full of adrenaline. I miss my baby. I try not to think about how this is hard. How I wish we weren’t separated. I pump every 3 hours. The nurses are amazed at how much colustrum I am making. They tell me how no one makes this much. It makes me feel good. Like I am doing something right. Like I am able to take care of my baby from afar. I finally get some sleep. 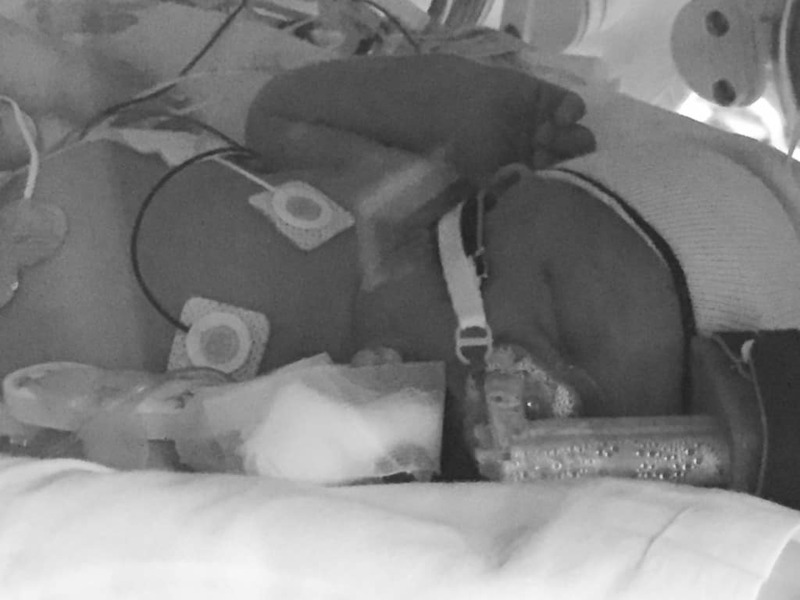 Josh is in the NICU, and gets stronger everyday. Each day brings more good news. The day he is born he is on an intubator, which goes straight to his lungs thru his mouth and helps him breath. 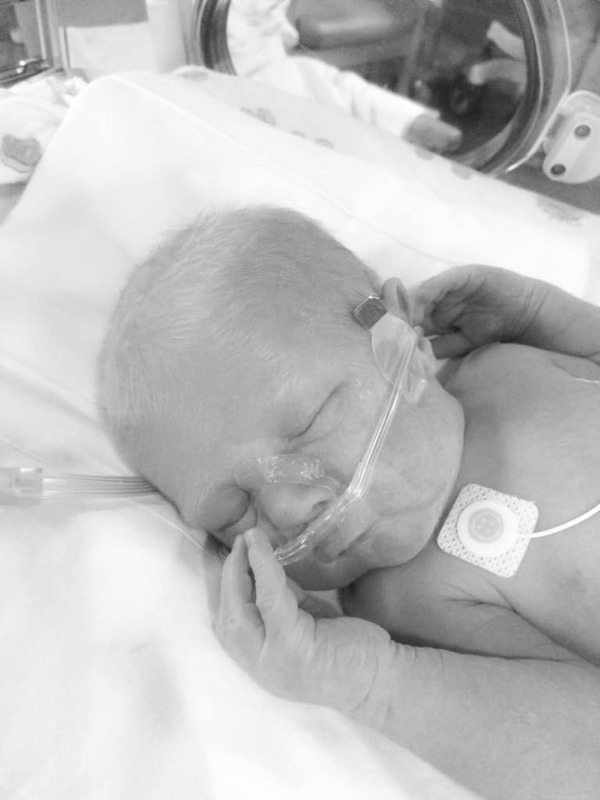 When he was 2 days old he gets off the intubator and stepped down to a CPAP, which pushes air into his nose. It is attached to a little tiny knit hat to help it stay on. He doesn’t like it, and keeps pulling it down. His way of telling us he doesn’t need it anymore. When he is 3 days old, he gets stepped down to an oxygen line, which sits just outside his nose. He doesn’t like this either, and keeps pulling it down. Again trying to tell us he doesn’t need it. When he is 4 days old, he is off all breathing assistance. His lungs are working perfectly. We are in the clear. I can finally hold him. I am even more overwhelmed with love for him. I thought I loved him before, but that is nothing compared to this. He feels like mine. I feel like his. We are together again. This is how it should be. It is heaven. I love seeing his face without tubes on it for the first time. Shawn holds him for the first time that night when he is off work. Josh stares at Shawn the whole time. He knew his daddy. It was the longest Josh has ever been awake. I loved this moment. Now we just need to get him strong enough to take all of his feedings on his own. He is so little that he is barely strong enough to nurse or take a bottle. The sucking wears him out too fast. They put a feeding tube in his nose that allows the milk to go straight to his tummy. We will get there. He will get strong enough. We fall into a new routine. I barely leave his side. I only leave his isolate if I am pumping, eating, sleeping or going to the bathroom. I get to know a whole new staff of nurses. I became his primary nurse, learning everything I could about his care. At the NICU they do what is called cluster care. The goal is to let the baby sleep as much as possible. The more he sleeps, the more he grows and the stronger he gets. 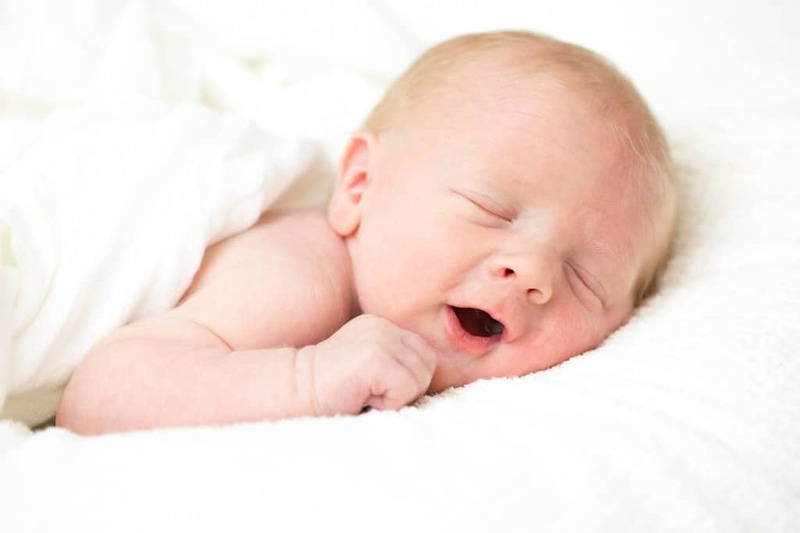 Every 3 hours you wake the baby to change his diaper, take his temperature, check his vitals, and feed him. I did all of his care. Changed all the diapers. Took his temperature. Gave him all of his feedings in his feeding tube. The nurses loved when they would get Josh that day, because they knew I really did all their work for them. 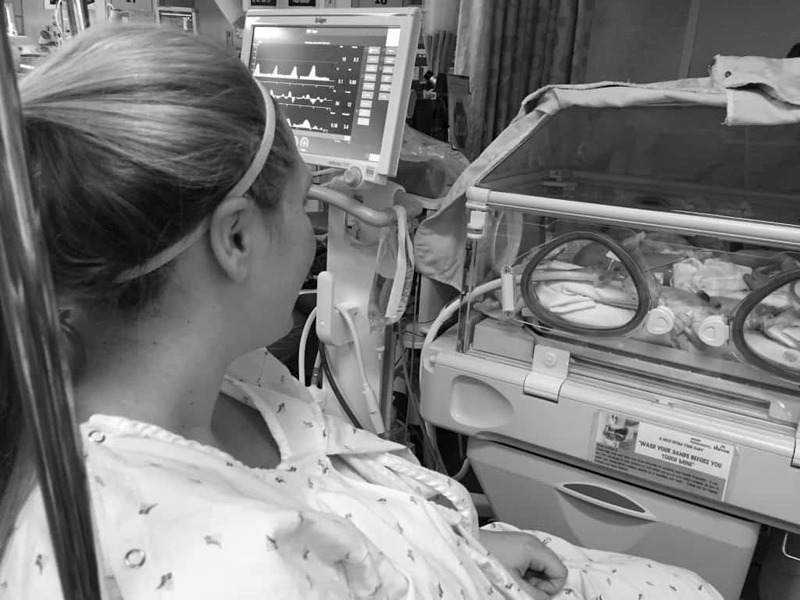 NICU life was both the best and the worst. Awesome and awful. He got great care, but it was hard that he needed care. I knew it was for the best, and he was in great hands, but I really wanted to be at home. I was grateful. I was happy. My baby’s doing great! I was disappointed. I was sad. I wish my baby didn’t need this. The hospital was wonderful and let us stay there until Josh was discharged. I could not leave the hospital until Josh did. Could. Not. Most days were great and full of good news. New milestones reached. No more breathing assistance! No signs of infection! IV removed! Weight gain! More feedings on his own! Shawn and I would feel like our old selves. Talking and flirting and laughing while sitting outside his isolate. Talking to Josh as if we were at home. It felt like home. The NICU felt like our living room. It was our own little world. Everything is fine. We’re doing so great. I can handle this. I’ve never laughed harder or felt happier. But some days were hard and a set back would happen. He didn’t digest enough of his food. He lost weight, and is down another 10 grams. He has jaundice and needs to be under a light, so no holding him that day. I would cry, hiding my tears from Josh. I would have a break down in my hospital room. It felt like my entire world was crumbling around me. Shawn would have to be strong enough for all 3 of us. No time for him to break down. The NICU would feel like a windowless prison, only lit by fluorescent lights and pumped with recirculated air. Everything is awful. We’re not doing so great. I can’t handle this. I’ve never cried harder or felt worse. Life felt like a roller coaster of ups and downs. But we chose to put all of our attention and focus on the ups, and let the downs just slip away. We had each other. We had Josh. We will be fine. As soon as Josh could take 2 days worth of feedings on his own, and gain weight, we could go home. When he was 5 days old he was strong enough to nurse, even though it was for just a few minutes. He would fall asleep eating. It was so dang cute. I would give him the rest of the milk his body needed thru the feeding tube. When he was 6 days old he started taking most of his feedings from nursing or bottles I had pumped. They were adding a scoop of formula to the breast milk to help him gain weight. He had dropped to 4 pounds 10 ounces. When he was 7 days old, he did 6 out of his 8 feedings on his own. That night as I was holding him, he reached up, wrapped his little finger around his feeding tube in his nose, and pulled it. He’s a swift little guy, and he pulled some of it out before I could stop him. I told the nurse, dreading that she would have to put his feeding tube in all over again. Instead, she came over and pulled it the rest of the way out. She said he’s just trying to tell us he can do all his feedings on his own again. And he did. He did all his feedings on his own for the next 2 days. 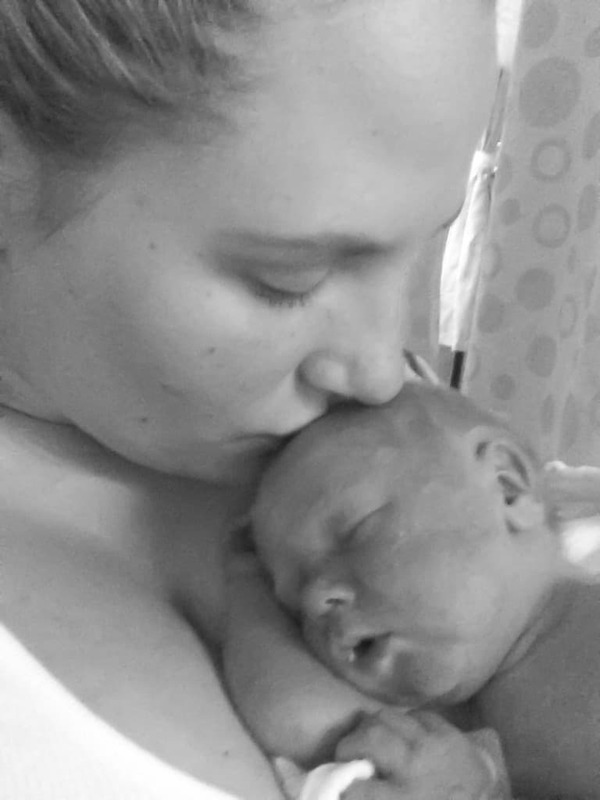 When he was 8 days old, the doctors and nurses were making the rounds. When the doctor heard how good Josh was doing, she said as long as he keeps it up, we could go home the next day. I broke down crying. The best news yet. I knew we could do it. 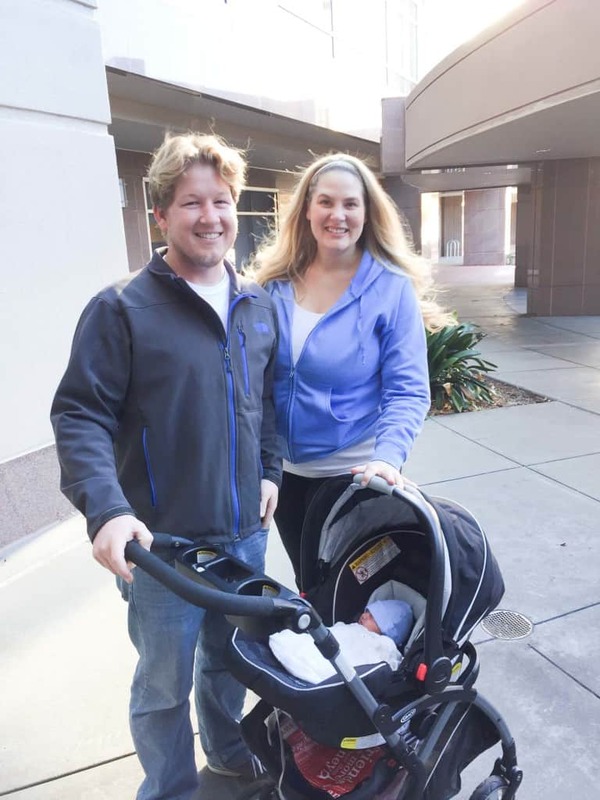 On November 26th, Thanksgiving Day, after 25 days in the hospital, we left the hospital. As we drove home, I was overwhelmed with happiness and gratitude for all we had accomplished. For every scenario, we had the best case happen. It couldn’t have gone better. I hadn’t been outside of the hospital for almost a month. Everything felt different. I felt different. I was a whole new person. A mom. Shawn was a dad. We had our boy. Our Josh. We were going home as a family of 3. We were so strong. We were so positive. We were so brave. It drew Shawn and I closer than ever before. We did it all together. We have so much love. As hard as it was, I wouldn’t change a thing. Aww I LOVE this story, Natalie! Everything is so heart-felt, genuine and beautiful. Thank you for sharing your experience with us! My dad wrote a story of the day I was born, sort of similar to this (I was born three months early, in the hospital for over two months…and that was YEARS ago) but he read part of the story at my wedding and I really cherished it. My dad always loves telling my story and always gets teary eyed! I never really appreciated it until I got older. I think Josh will feel the same way too! What lucky parents he has! Thank you Gayle! Thanks for taking the time to read it! I didn’t know you were born 3 months early! I’m glad you got such good care. I bet your parents can totally relate to what we went thru. They had it even harder than me I bet! And I love that your wrote down your birth story and read it at your wedding. So special. You’re too nice. Thank you for sending me flowers while I was in the hospital! It made me feel so loved and supported from afar. You’re a true friend! Tears on my keyboard! What a beautiful story with a wonderful happy ending! You might consider giving up foodblogging and go into short story writing! I felt like I was there and could feel your feelings. That is a gift. Thank you so much Kathi! You are too kind. I teared up quite a bit while writing this. And I just love writing. I’m glad you enjoyed it. Your compliment means the world. You made MY morning! Natalie, I loved reading this. It makes me so happy that everything worked out just right. You guys make an awesome team. Congrats again! Good for you for documenting it. What a gift for josh! You’re so sweet Bri! Thanks for reading. Everything worked out as good as we could hope. Thank goodness! Feeling so grateful for our health and love. Have a great weekend friend! Awww!!! 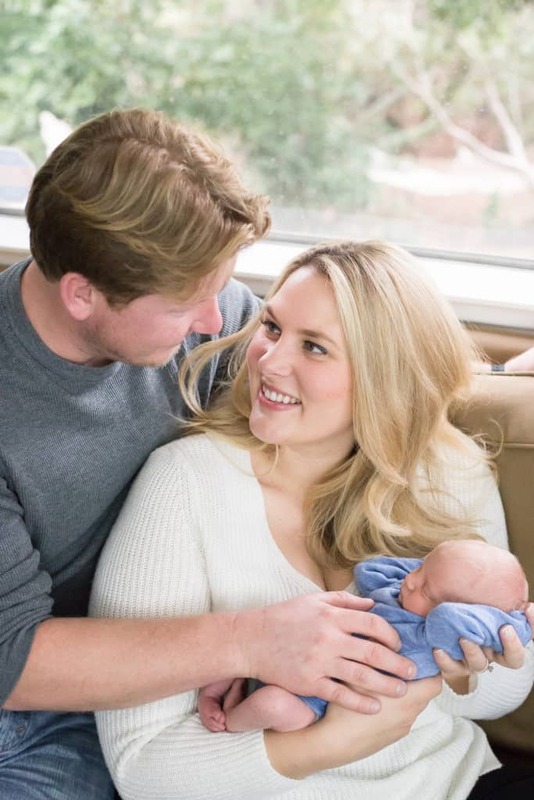 Loved getting a peek into your time in the hospital and Josh’s birth! So glad you guys have little Josh! Can’t wait to meet him someday! 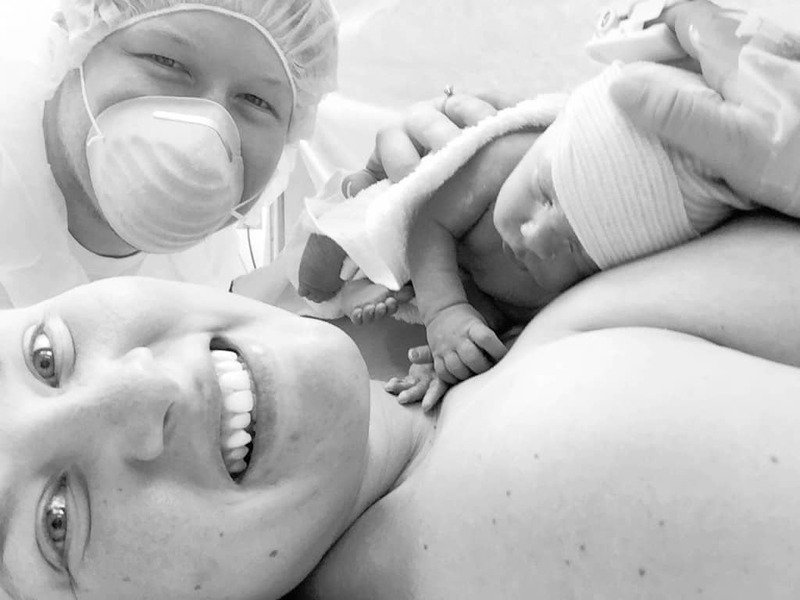 This is the best birth story Natalie! You are such a great writer!! So glad you are all safe at home! I absolutely loved reading this, Natalie. It was like a novel that I couldn’t put down :). This is such a sweet and amazing story! I’m so glad everything turned out as well as it did and that your sweet baby is healthy and happy! You are too nice Annie! Thanks for reading. Loved writing it, so I can remember all that we did together as a family. More grateful than ever for my family and our health. Hugs to you! Nat, what a beautiful story with a happy ending! I loved reading your story and I am very glad all turned out very well. You are such a strong, amazing and incredible woman. I don’t know if I could be calm and strong like you were. I have to say I’m proud of you!! You and Shaw deserve all the best in this world. You two are great parents. Congrats on your baby! I am also very happy your baby is healthy! You have a beautiful and lovely family, my friend! So glad you enjoyed it Olivia! One of the most life changing experiences of my life. I’ve been thinking of you! Wishing you all the best as you become a mother too. Thanks for reading friend! I love this so much Natalie!!! You are such a wonderful writer, and you told the story so magically. Getting totally teary eyed over here. You have such a beautiful family – Josh is the cutest thing ever. I love all your snapchats of him :) such a beautiful little boy! Aw, thanks Rachel! You’re so sweet to read this. Such a special and wild time in our lives. But all worth it for Josh! And I am so obsessed with Snapchat. I’ve been saving the videos every night, so it’s like having little mini videos of his days. What an amazing story, Natalie! You were so patient and strong! I got all teary reading this epic story! Congratulations again! Thanks for reading Kelly! Such a wonderful and crazy and loving and scary time. Definitely a life changing few weeks. So there were lots of tears while reading this! Wow, you guys really went through so much and I’m so happy that everything turned out great in the end and you guys have a healthy, do adorable little boy! He really is one of the cutest little babies I’ve seen! You and Shawn are so lucky to have each other and it really sounds like you guys can get through anything together! So happy for you and your little family! Aw, you’re so sweet for reading Izzy! I bet it made you excited for when your little fella arrives. And I really hope this didn’t make you nervous. What happened to me is so INCREDIBLY rare! I’m wishing for an easy and healthy delivery for you. Big hugs to you my friend! Gahh! I finally got through reading this!! (I tried reading it at work a few times but ended up on the verge of bawling.) So proud of you, girl!! What a crazy experience, but I am so glad everything turned out OK and you have the most adorable little blonde baby ever!! <3 <3 Thanks for sharing with all of us!! Aw, you’re so nice to read this Jess! You are the sweetest. And I hope it didn’t freak you out at all. What happened to me is so incredibly rare. I just know your pregnancy and labor are going to be smooth as silk. Rooting for you and baby girl!